Most of what you see on my site are Newborns and Babies. And while I am very proud to be a Newborn Photographer, I have gotten the chance to work with a few of my clients for several years. I recently got the opportunity once again to do a session for some old family friends.. We did a Cardinals themed set up before but, with the new addition, it was time for an update! 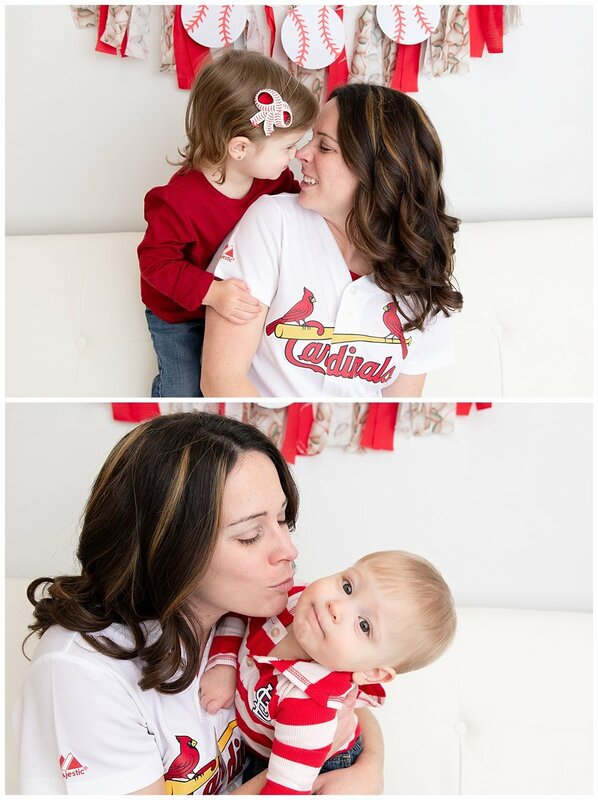 And of course, as a St. Louis based photographer I am always ready to accommodate a Cardinals theme. Brother and sister look so great together.. She loves him so much and it shows! 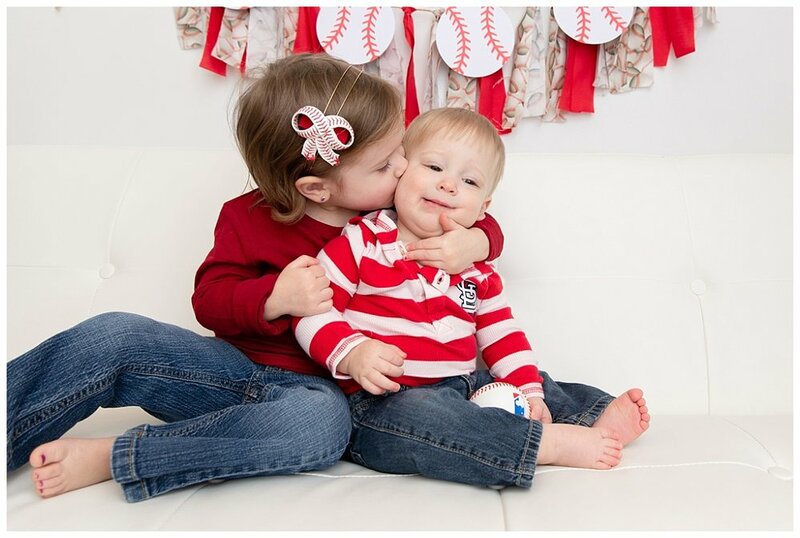 In a few years the sibling rivalry may set in but, for now, its all smiles and hugs. 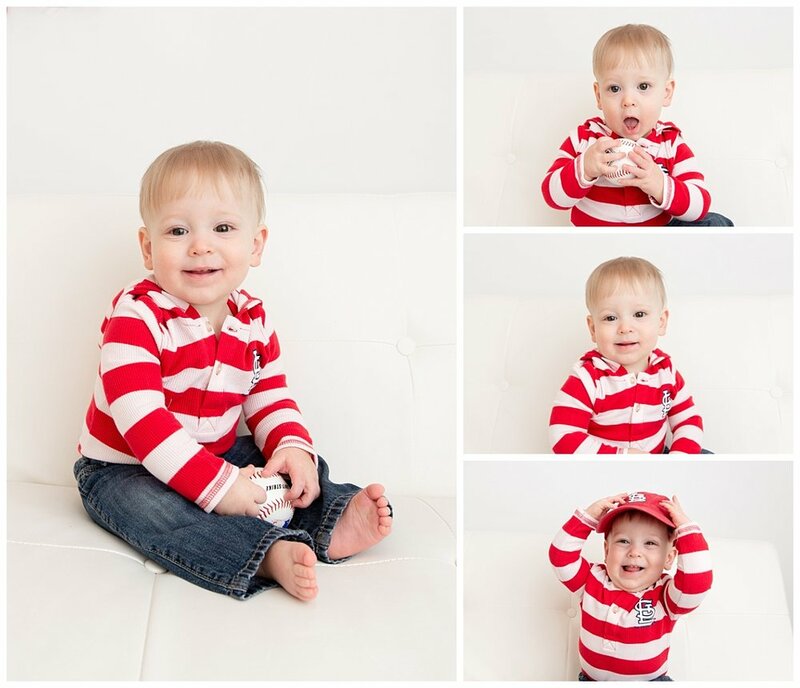 And of course, I always include individual setups in my family sessions. You just have to have individual photos of the little ones to pass out to family and friends.